Phil Spector, the fright-haired music producer, was convicted in April 2009 for the second-degree murder of Lana Clarkson, a struggling actress who died of a gunshot wound in Spector's Los Angeles home in February 2003. 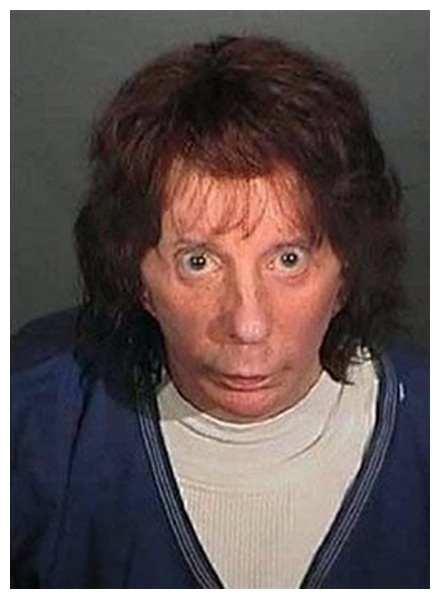 The 69-year-old Spector, who faces 15 years in prison, is pictured above in a Los Angeles Sheriff's Department mug shot. Submitted by rcmayo on Fri, 2011-06-03 09:27. Submitted by Leon Hautala on Tue, 2010-11-02 17:28. He goes for the elderly lesbo look just like so many others in the pop music biz. At his trial he had the nicest angora. Plus plus he froze up the entire time. Submitted by Twaney on Thu, 2010-09-30 00:36.
this is an ugly man! Submitted by antiz on Mon, 2011-02-07 19:04.